We’re pleased to announce the release of our latest eBook: People Behaving Badly: How YOU Can Raise Trust in Your Organization. 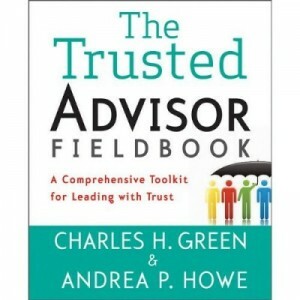 It’s the fourth in the new Trusted Advisor Fieldbook series by Charles H. Green and Andrea P. Howe. P.P.S. There are just six weeks until the release of The Trusted Advisor Fieldbook. Receive a free Trust Quotient diagnostic ($30 value) when you pre-order The Trusted Advisor Fieldbook before October 31, 2011 midnight EST. Send your receipt to bookoffer@trustedadvisor.com. We’ll send you access to discover your trust strengths and weaknesses.